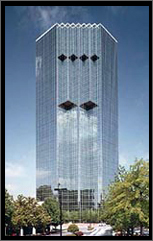 Synergy Automation is a complete systems integrator of building control systems. At Synergy we handle all of our systems in-house. There is no need for you, as our customer, to deal with multiple contractors and phone numbers to control your. Synergy Automation is honored to be a Reliable Controls Authorized Dealer. To earn this designation, we have proven our expertise, project experience, and technical qualifications time and time again in satisfying the unique requirements of customers just like you. Our client base includes schools, universities, hotels, airports, hospitals, commercial, government and retail buildings, and more. At Synergy, we provide complete building management and monitoring systems that customers use to build an open protocol control network of their own, or connect to an existing facility network system. Synergy provides a common architecture that delivers consistent temperature controls, energy management, security, and life safety capabilities for your facility. The broader range of management, preventive, and monitoring capabilities, the more control you have over your energy usage and operating costs. We promise our customers on-time, dependable, responsive performance of both our people and our system integration solutions. 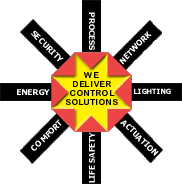 Synergy Automation is "Your Building Automation Experts." We provide turnkey service, so we can handle your project from start to finish. Join the ranks of our satisfied customers today. We welcome the opportunity to bid on your next project. Call us now to see how we can SAVE you money and energy for your facility!